Cool location next to tranquila Plaza de la Verdura. The roof top is nice place to relax. The decorating and construction with open beams was appealing. Emilia made room for our bicycles the entry. I really enjoyed the town of Ubrique. The location is wonderful! It’s in the centre of the old town, tucked away in one of the side streets. The house inside is painted in bold colours which js very refreshing. We had an apartment at the higher levels, so we’re able to see the picturesque mountain. It’s very quiet at night. Decor was pleasant. Owner was friendly. Location was perfect, price (50€) was just enough for what you get. Wouldnt pay more. fairly good location in old town . roof top view is excellent . strong wifi . The property is completely individual, beautifully presented and in an excellent location. 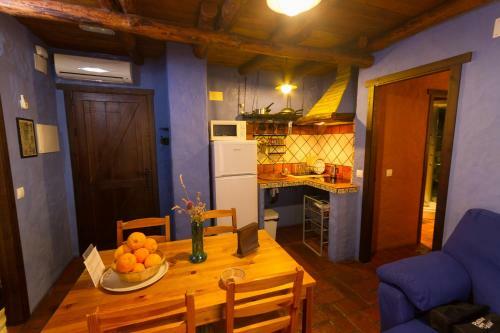 The house is super picturesque with striking blue walls and colorful tiles everywhere. Locations is great, in the heart of old town. Free parking in the street. Above all - the terrace! 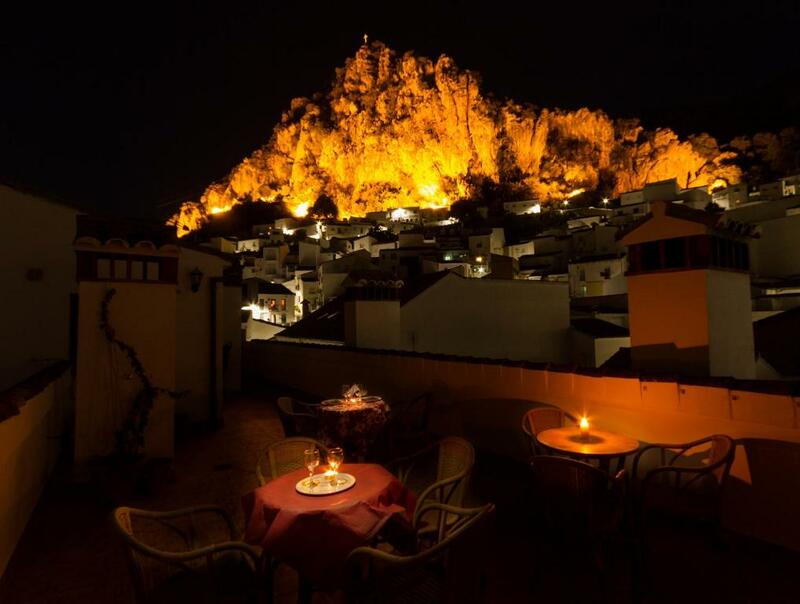 We bought "dinner" at the supermarket and had it on the terrace with sunset on one side and mountain walls on the other. It won us over! Very nice, comfortable and clean appattement, here is all what you need and you will feel like ať home. Very friendly iand helpful lady. Big recommend and thank for amazing staying. We enjoyed literally every aspect of staying in this hotel: beautiful style of the interior, helpfulness of the host, great room with a view and great terrace with astonishing view. We didn't want to leave. Emila is extremely nice, the upgrade to a room with a little kitchen was wonderful. The bed was comfy and the room was clean. Relatively easy to find. 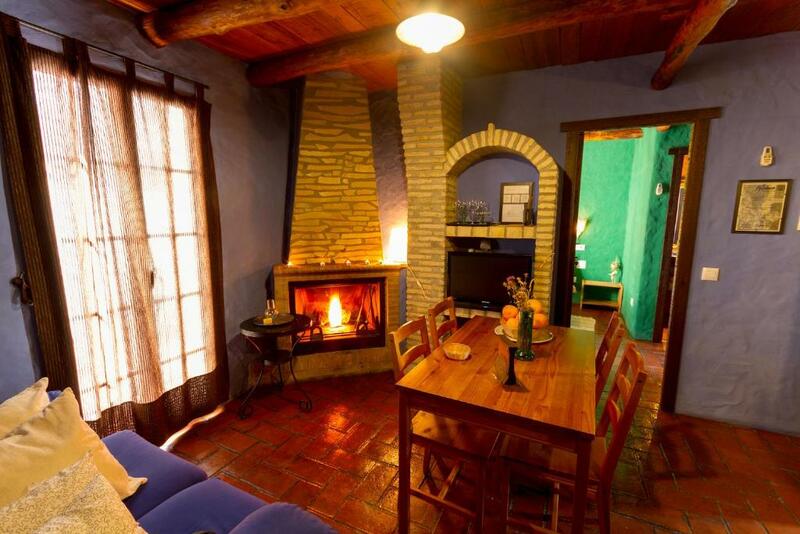 Very nice romantic appartment with a fireplace. Emilia was very friendly and explained us everything. 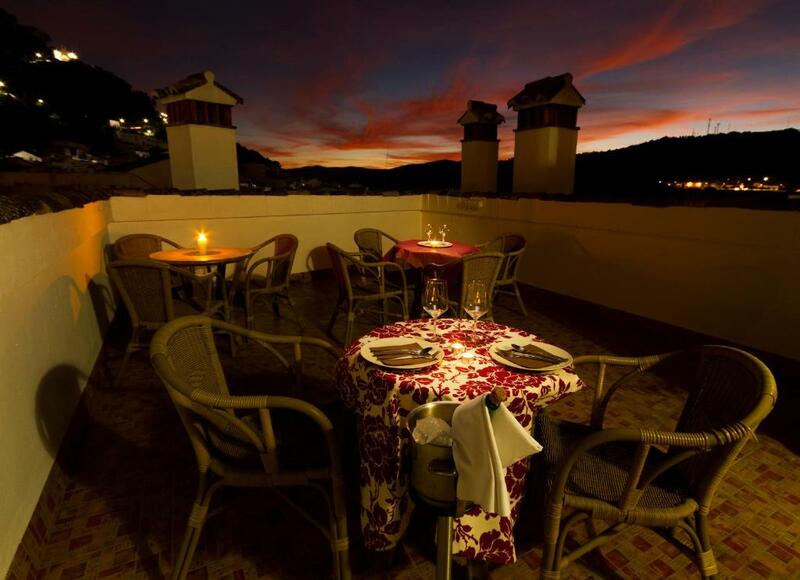 Lock in a great price for Casa Emilia – rated 8.1 by recent guests! 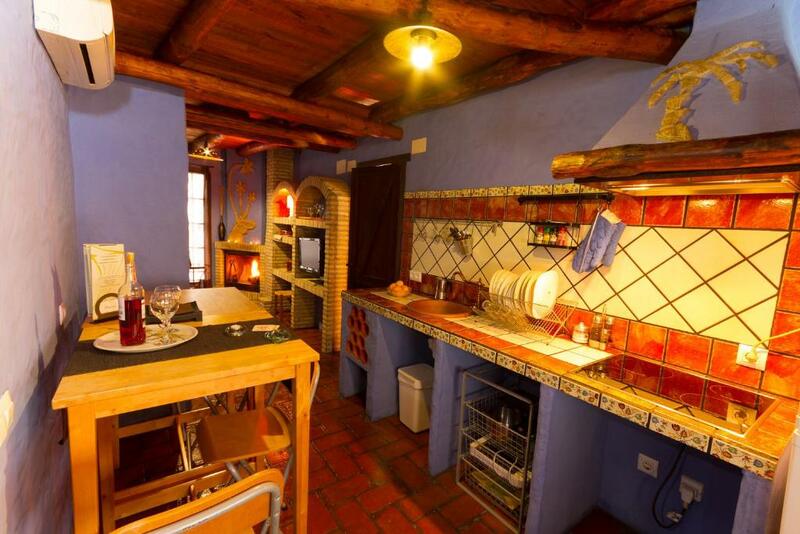 Featuring striking blue walls throughout, this charming rural house is located in Ubrique, within the Sierra de Grazalema Nature Reserve. 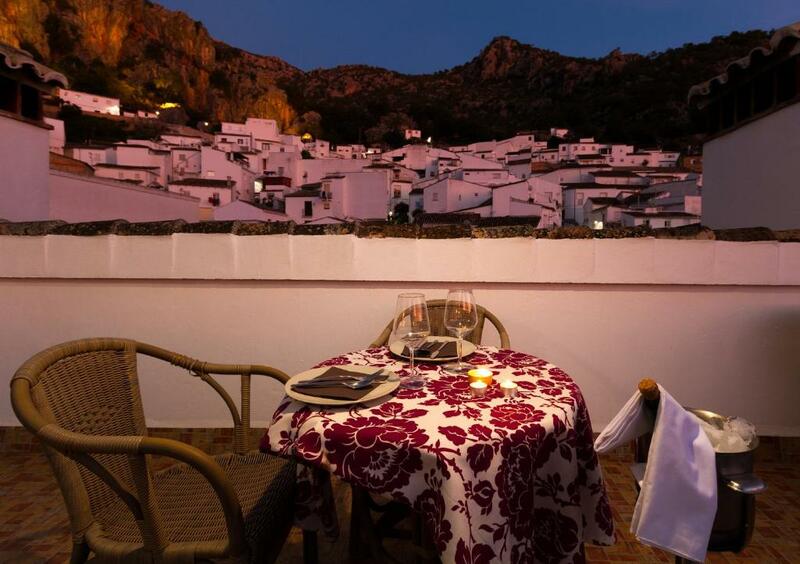 The traditional restaurant serves cuisine characteristic of the Cádiz region. Apartments at Casa Emilia offer a private bathroom with a hydromassage shower. 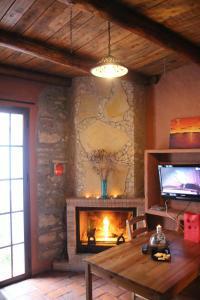 The inviting living room includes a fireplace, sofa and flat-screen TV, and free Wi-Fi is available in all areas. The property offers group hiking trips in Ubrique. Casa Emilia can be found 1.9 mi from Benaocaz and around 5.6 mi from Hurones Reservoir. 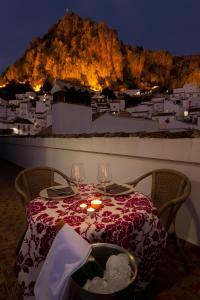 The historic city of Ronda is a 50-minute drive away, and Marbella is approximately 37 mi away. When would you like to stay at Casa Emilia? 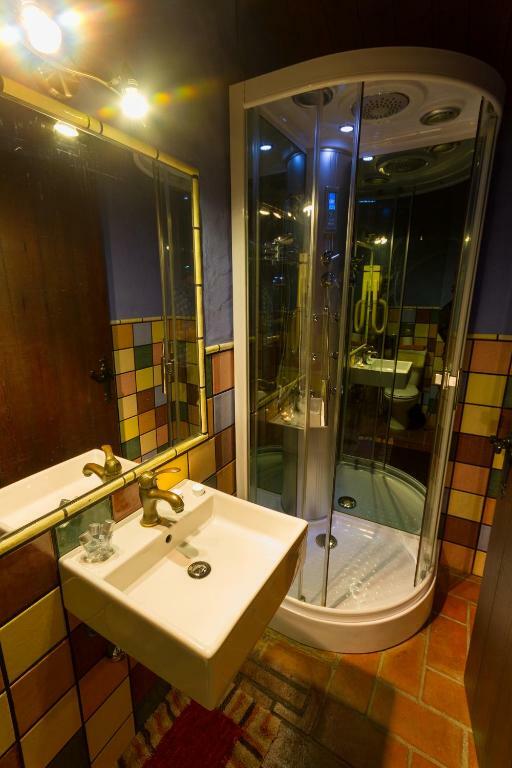 This apartment includes a hydromassage shower, a hairdryer. Offering pleasant views, this room includes a hydromassage shower and hairdryer. This apartment has a stovetop, microwave and dining area. This apartment has a balcony, air conditioning and fireplace. me encanta las rutas de senderismo pertenesco al cludsendero 3 camino, los parajes de esta zona son espectaculares. es . un barrio tipico andaluz rodeado de sierra . y donde todabia , los vecinos toman el fresco de las noches de verano sentados en sus propias puertas . y pasear por sus calles estrachas y desiguales acompañado siempre del aroma del azahar de sus limoneros y plastas que adornan las fachadas , es muy relajante. House Rules Casa Emilia takes special requests – add in the next step! Please let Casa Emilia know your expected arrival time in advance. You can use the Special Requests box when booking or contact the property. Please inform Casa Emilia of your expected arrival time in advance. You can use the Special Requests box when booking, or contact the property directly using the contact details in your confirmation. For a longer stay, some of the facilities could have been better. E.g. chipped glasses, some crockery a bit old. But for one night, it was brilliant. Even when contacting us twice for the arrival time, we had to wait for almost half an hour for check in outside in the street. The bar/restaurant on the ground floor is closed, you get a ticket for Breakfast in the nearby bar, which is fine, but you have to walk a few minutes to reach it. The duvet could use a wash, but the sheets under were super clean. Good-sized apartment with everything you need and within walking distance from town. Emilia is a very nice and kind host and was very accommodating of our late-checkout enquiry. It is a little old town house, so naturally the rooms are a bit small and dark. The bed was quite small and not super comfortable. The view from the roof terasse is amazing. Study your route to the property before hand - the steep one-way streets can be confusing if you are not used to the Pueblos Blancos. The lighting was dim in the room - needs some new LEDs to show off the decorating. It was a bit cold in the room but Emilia did provide an extra space heater. On arrival we were upgraded from a double room to an apartment. The apartment was spacious and clean with two small balconies. Emilia was very nice, she used google translate to help us understand as our Spanish is not very good. The house is very close to the main street in Ubrique. We parked in the free carpark in the centre of town and walked up. It is uphill but it is very short walk. We enjoyed our stay here and would recommend it to others. Just a small thing: It would have been nice to have some bottled water ready for guests who arrive. We arrived in late August, had a long journey. We didn’t feel comfortable drinking the tap water. No terrace as the pictures imply. Only a tiny balcony. Terrace on the roof was filled with crapy old furniture that belong in a thrift store or worse. Room was small, tight. Breakfast was in a not so nice bar 2Km away and you only got toast and juice. Lots of noise from inside and outside the building. Paper thin walls. dark room and stairwells *** not sound proof and very strong cigarette odor . breakfast - not on site but given a ticket to walk 10 minutes to a bar . owner demanded payment in cash before moving in , tried to demand 5 euros more than listed price for room cleaning daily . i left one day early even though already paid for 3 nights in full . very unpleasant experience . i decided to check 'google reviews' and found them to be more similar to my experience . All that space on my own and a comfortable bed. Location is nice, but hard to access by car. It is situated in the old town part, with very limited parking. Apart of that I did enjoy the time there and the location, with easy access to the city center and loads of cafes and bars around. I received a small apartment instead of just a room, which gave additional space. The place was very nice and well kept. Staying just for 2 nights there was not enough time to enjoy the kitchen and additional space. Overall it was a good choice for my purposes.